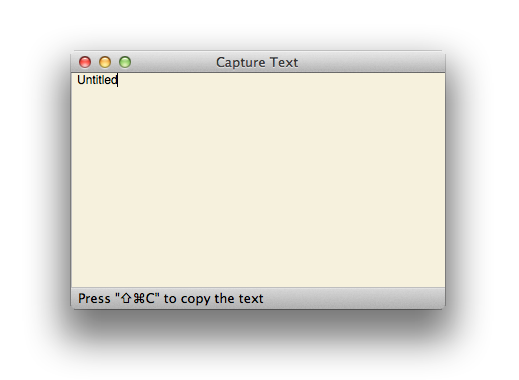 Capture Text makes it possible to copy window/label/button/menu text that is normally uncopyable in Mac. Move your mouse over the text you would like copy and the text appears in the Capture Text window, then press ⇧⌘C to copy it the the clipboard. Capture Text is especially useful for developers. Capture Text is available for free, download it now! 2016-03-19: The download link is working now. Download Capture Text for Free!